A Moorish style mirror with a contemporary finish. The Arayna Mirror by Eichholtz has a floor length frame with arched detailing at the head of the design. 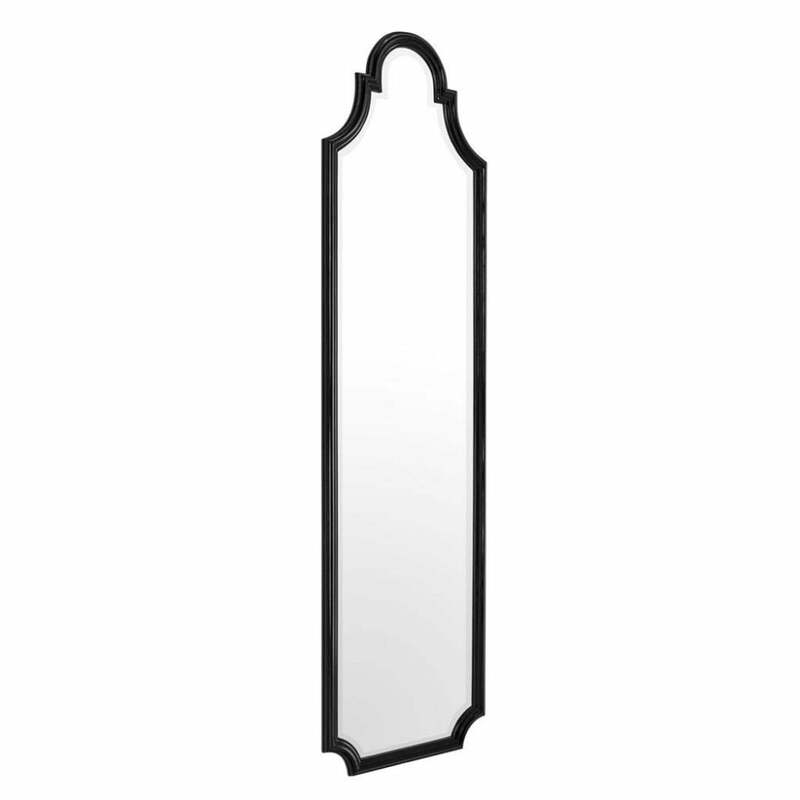 Tall and elegant, the Arayna Mirror will look beautiful hung in a hallway or bedroom. The mirror is crafted with a piano black finish and bevelled mirror glass for a luxe look that will suit a variety of properties from a chic city apartment to a holiday villa. Create a glamorous, ethnic inspired interior scheme by pairing the Aranya Mirror with gold accents, intricate tiles, jewel coloured furnishings and mirrored surfaces. Make an enquiry for more information.